Upgrades throughout! This beautifully furnished townhome is ready to keep you cozy this winter with in-floor heating, two living areas, 3 beds, and 2 full baths. Bosch washer and dryer in unit and bonus storage in the garage. All upgraded in the open kitchen from tiled back splash to stainless steel appliances and granite. 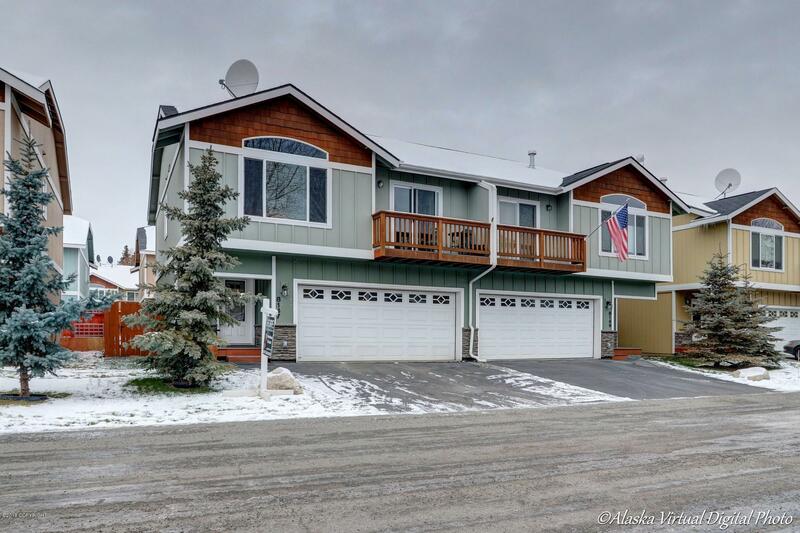 Large windows in main living area let you enjoy the beautiful Chugach!